The Women’s model, from Orvis. Wonderful selection. 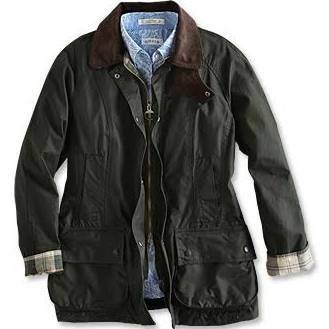 Barbour makes great jackets. Orvis has a good selection, also.